Esther Schindler's been writing about computers since it was oh-so-cool to have a 2400 baud modem. She has never lost the sense of joy for the many ways in which technology can improve the quality of life. Among the most painful experiences in my life was watching my mother struggle to remember her brothers’ names. She knew she should know… and yet she didn’t. It broke my heart, because there was not a damned thing I could do to help her. Mom died of Alzheimer’s, five years later. Mom wasn’t alone. The number of Alzheimer’s deaths increased 71% between 2000 and 2013, while deaths from other major diseases decreased, according to the Alzheimer’s Association. More than 5 million Americans have the fatal, progressive disease, and by 2050 that number is projected to reach as many as 16 million, at a cost of $1.1 trillion per year to Medicare and Medicaid. One reason Alzheimer’s has become more prevalent is that people are living longer. In my parent’s generation, a cancer diagnosis was a death knell. Now cancer is “merely" a horrible disease which many survive; with so much research ongoing (such as with breast cancer), scientists are making headway towards prevention and true cures. The result is that we’re living long enough to die of the next horrible disease – and too often it’s Alzheimer’s. Fortunately, scientists are just as dedicated to eliminating Alzheimer’s. While we aren’t nearly as far along, I’m glad to see how much energy is going into the effort. To begin with, it has government funding. In July 2016, the U.S. House Appropriations Committee approved an additional $350 million for Alzheimer’s disease research funding at the National Institute of Health. And in Canada, the Weston Brain Institute doubled its funding for Alzheimer's research, enabling scientists to pursue better diagnoses and treatments. And while scientists have more questions than answers (much less new drugs), researchers say this is an exciting time. “It’s a breathholding time for the field; I think the field is in so much of a need of some kind of positive indication that we are on the right track," said Ronald Petersen, director of the Mayo Clinic Alzheimer’s Disease Research Center and the Mayo Clinic Study of Aging, in a Washington Post article. “I think we can have a little more optimism about drug trials that are coming down the road." Here’s a few reasons for that optimism, in this roundup of recent efforts to prevent, detect, and treat Alzheimer’s. All are from research published in 2015 and 2016. Multiple factors influence the risk of you or a loved one getting Alzheimer’s disease. In some circumstances you can take action to reduce the chances, but nothing is for-sure. For example, according to a study in Neurology, the medical journal of the American Academy of Neurology, keeping the mind active may delay Alzheimer’s symptoms. “When we looked specifically at the level of lifetime learning, we found that carriers of the APOE4 gene who had higher education and continued to learn through middle age had fewer amyloid deposition on imaging when compared to those who did not continue with intellectual activity in middle age," says study author Prashanthi Vemuri, Ph.D., a Mayo Clinic dementia researcher. The key word is delay, not prevent. But in other circumstances, all you can do is worry. Family history, aging, and certain infections, as well as diseases including diabetes and hypertension, increase the risk. Alzheimer’s risks are higher among women, African-Americans, Native Americans, and Hispanics. Lower weight in late life may increase risk of Alzheimer's disease. Researchers at Brigham and Women’s Hospital and Massachusetts General Hospital found an association between lower weight and more extensive deposits of the Alzheimer's-associated protein beta-amyloid in the brains of cognitively normal older individuals who carry the APOE4 gene variant, which is known to increase the risk of Alzheimer's. “Our findings suggest that individuals who are underweight late in life may be at greater risk for this disease," says Gad Marshall, MD, of the MGH and BWH Departments of Neurology, senior author of the report. “Finding this association with a strong marker of Alzheimer's disease risk reinforces the idea that being underweight as you get older may not be a good thing when it comes to your brain health." Marijuana compound smokes the seeds of Alzheimer's disease. Exposure to certain compounds in marijuana can cleanse the brain of harmful amyloid beta cells that give rise to Alzheimer’s disease. Researchers at the Salk Institute, exposing the cells to tetrahydrocannabinol (THC), the psychoactive ingredient in marijuana, reduced levels of the amyloid beta proteins, which also had the effect of stopping inflammation of the nerve cells and allowing more of them to survive. Researchers prevent accumulation of amyloid plaque in mice. Mayo Clinic researchers found a new way to prevent the accumulation of amyloid plaque – a key feature of Alzheimer’s disease – by eliminating a class of molecules called heparan sulfates that form on brain cells. The research study deleted the Ext1 gene in laboratory mice using genetic engineering technology. This, in turn, prevented heparan sulfates from forming on the surface of brain cells, said Guojun Bu, Ph.D., a molecular neurobiologist and associate director of the Mayo Clinic Alzheimer’s Disease Research Center. Two research teams independently obtained atomic-resolution structures of fully formed amyloid-β peptide fibrils that may be involved in Alzheimer’s disease. These fibrils or similar ones form aggregates called “senile plaques" in the brains of patients with the memory- and identity-loss disease. But as with so many other forms of Alzheimer’s research, it’s just the entry point on a longer exploration. With the new structures in hand, “There are Avogadro’s number of follow-up experiments to do," says one of the researchers, including studying fibrils formed by mutant Aβ-peptides that cause early-onset Alzheimer’s disease and finding agents that bind to Aβ42. “This will keep us busy for another decade or two." Early detection may seem like a painful benefit, since currently there’s little to be done once you have a diagnosis. However, given the work scientists are investing in things that can slow down the disease’s progress, the knowledge may be powerful. Perhaps that progress can be sped up with more data being shared. In 2015, the Coalition Against Major Diseases created an Online Data Repository for Alzheimer’s, with the aim of supporting accelerated drug development. The aim was to build an open access, standardized database from control arm data collected across many clinical trials. Two studies evaluated changes in odor identification as an early predictor of cognitive decline. In other words, you sniff familiar odors, like smoke, coffee, and raspberry, and see how well you can identify them. Scientists found that people who perform poorly are more likely to have — or to develop — problems with memory and thinking. Another early predictor: Difficulty in building “mental maps." Most of us build cognitive maps of new surroundings. But difficulty in doing so may be a sign of eventual clinical onset of Alzheimer’s. “These findings suggest that navigational tasks designed to assess a cognitive mapping strategy could represent a powerful new tool for detecting the very earliest Alzheimer’s disease-related changes in cognition," says Denise Head, associate professor of psychological and brain sciences at Washington University in St. Louis, and senior author of the new study. A better blood test would be good. A European research network of over 200 scientists, clinicians, and industry partners set up a tool to measure brain blood flow, identifying telltale signs of dementia and Alzheimer’s very early on. 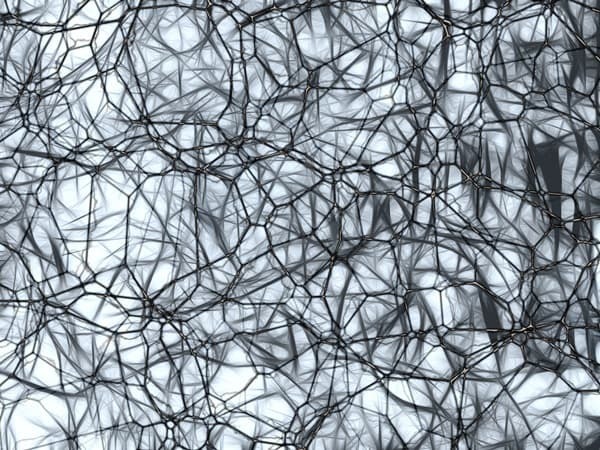 The tool uses a new, non-invasive technique to measure blood flow to the brain, known as Arterial Spin Labeling. It’s too early to hope for a medical cure. But many researchers are attempting to slow down Alzheimer’s symptoms and ease those who suffer from it. Start with Google Street View, virtual reality, and an exercise bike. A Swedish company created the jDome BikeAround, which aims to immerse dementia patients within a virtual replica of real-world streets including locations with personal significance. The hope is “to kickstart a memory of a particular time or place: a walk to work. A walk home. A fight. A glance. A kiss. A sucker punch." The street view comes from Google Maps, with an impression of responsive movement when cycling. A commonly-used anti-inflammatory drug may hold promise. Nearly everybody takes non-steroidal anti-inflammatory drugs at some point. One of them, mefenamic acid, a common non-steroidal anti-inflammatory drug, is routinely used for period pain. A team led by Dr. David Brough from The University of Manchester found that the anti-inflammatory drug completely reversed memory loss and brain inflammation in mice. “Because this drug is already available and the toxicity and pharmacokinetics of the drug is known, the time for it to reach patients should, in theory, be shorter than if we were developing completely new drugs," he says. “We are now preparing applications to perform early phase II trials to determine a proof-of-concept that the molecules have an effect on neuroinflammation in humans." Resveratrol appears to restore blood-brain barrier integrity in Alzheimer's disease. Researchers at Georgetown University Medical Center have experimented with giving resveratrol (a naturally-occurring compound found in foods such as red grapes, red wine, raspberries and dark chocolate) to Alzheimer’s patients. It appears to restore the integrity of the blood-brain barrier, and reducing the ability of harmful immune molecules secreted by immune cells to infiltrate from the body into brain tissues. Translation: It’s slowing patients’ cognitive decline. “These findings suggest that resveratrol imposes a kind of crowd control at the border of the brain. The agent seems to shut out unwanted immune molecules that can exacerbate brain inflammation and kill neurons," says neurologist Charbel Moussa, MD, PhD, scientific and clinical research director of the GUMC Translational Neurotherapeutics Program. A molecule that can block the progress of Alzheimer’s disease at a crucial stage in its development has been identified. According to the study, a molecular chaperone may break the cycle of events that scientists believe leads to the disease. The molecule, called Brichos, sticks to threads made up of malfunctioning proteins, called amyloid fibrils, which are the hallmark of the disease. By doing so, it stops these threads from coming into contact with other proteins, thereby helping to avoid the formation of highly toxic clusters that enable the condition to proliferate in the brain. I’m happy to say that, due to the amount of Alzheimer’s research going on, I could only include a tiny subset of the recent announcements. That bodes well for the future.